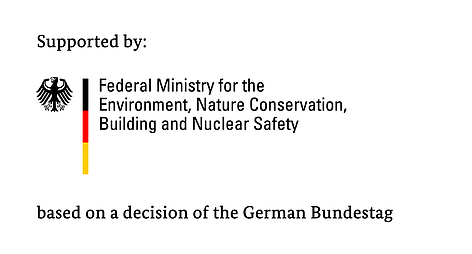 The Sustainable Consumption and Production (SCP) project is a three-year project funded by the German Federal Ministry for the Environment, Nature Conservation, Building and Nuclear Safety (BMUB) as part of their International Climate Initiative (IKI) to establish low carbon production and consumption. Through an ambitious regional response to climate change under WWF Germany, the project aims to support the project partner countries’ (Thailand, Indonesia, Philippines or 'TIP') implementation and integration of SCP principles in politics, private businesses and civil society as a means for living up to their national climate strategies. Aligned with the United Nations’ 10-year framework of programmes on sustainable consumption and production patterns (10YFP), the project will provide tailored assistance to varying country-specific thematic priorities in the pilot countries. Activities in Thailand focus on the agricultural and forestry sector in spurring mitigation strategies, with specific focus on the supply chain of maize and food production. Indonesia similarly looks towards the agricultural sector, but with emphasis on palm-oil production. In the Philippines, the project emphasizes on harnessing low emission strategies on the tourism sector within the food service industry. "Sustainable consumption and production interconnected with most social and environmental impacts can be the key to some of the challenges that the world are facing today. It can help balance the social, economic and environmental goals that the international community has set itself, such as eradicating poverty and stimulating economic growth." The International Climate Initiatives (IKIs) to establish low carbon consumption and production in Thailand aims to stimulate and encourage the development and implementation of SCP concept within business models and governmental mitigation strategies, action plan and measures towards the development of environmental change solutions and sustainable communities. 1) Promote the integration of SCP principles into governmental and corporate strategies and policies within agriculture and forestry sectors for climate mitigation solutions. 2) Encourage development and implementation of SCP principles within business models towards the promotion of sustainable food system. 3) Improve availability and accessibility to quality consumer information; resulting in increasing awareness on sustainable consumption and production. For more inspiration, subscribe to WWF-Thailand's Youtube channel. We hope you'll watch, enjoy and share! WWF-Thailand conducts capacity building workshop towards development of mitigation strategies and measures for SCP, Mae Chaem, Chiang Mai. We know that one organisation alone can’t affect the change we need. That’s why we rely on partnerships and our supporters. The changes we want to see in the world can only come about through the efforts of many people - together possible.